This buddy and me class is geared for toddlers by providing daily physical activities as a core component of early education. Gymnastics can challenge a student’s body and help the development of good motor skills. Twinkle Star classes involves all aspects of agility, balance and coordination and requires fluid body movement. Twinkle Stars gymnastics classes allow each child to strengthen his or her core muscles. This class will enhance your child’s balance and coordination. The use of different exercises and activities provides a fun start to gymnastics. The students will be exposed to the floor exercise, trampoline, bars, and balance beam. 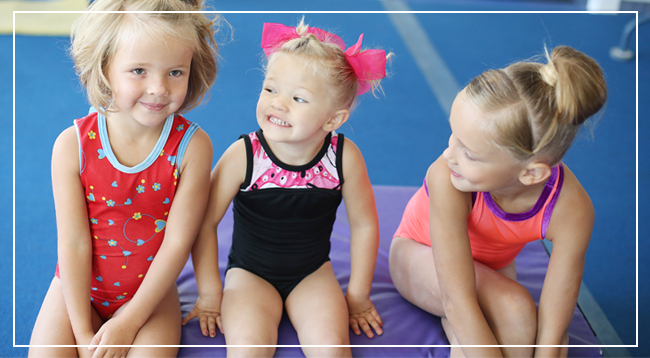 Your future gymnast will be introduced to basic gymnastics in this class!